San Lorenzo Valley Unified School District is nestled in the beautiful redwoods of the Santa Cruz Mountains above the blue expanse of the Monterey Bay Marine Sanctuary. The area served by the district is one of forested mountains adjacent to the San Lorenzo River which meanders through our valley. The District extends 17 miles north of Santa Cruz, south of Los Gatos, east of Bonny Doon and west of Scotts Valley. The schools of the San Lorenzo Valley Unified School District serve as focal points of the communities along the river. The four main, but small, towns of Felton, Ben Lomond, Brookdale and Boulder Creek consist of small business areas surrounded by residential areas. In December of 1951, two small school districts in San Lorenzo Valley (SLV) unified to form the San Lorenzo Valley Unified School District. 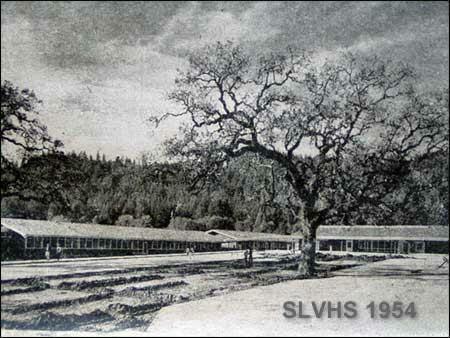 Prior to 1951, the SLVUSD consisted of Boulder Creek High School and Elementary School. There was an elementary district for Felton and Ben Lomond and those students were in the Santa Cruz High School District. A central high school for all valley students was built on the present Felton site. The graduating class of 1954 had 22 students. Today the high school houses over 700 students and the total district enrollment over 2,600 students including our district charter school. The district also has an independent charter school that boasts an enrollment of over 2,500 students. In the early days of the San Lorenzo Valley, around the turn of the century, students were served by many small, one room school houses. One of these schools, Alba School on Alba Road in Ben Lomond, is still in existence. The school is currently used as a community center and community library. During the 1920's and 1930's, Boulder Creek housed the only high school in the Valley. Students from Felton typically took the train to Santa Cruz to high school. Ben Lomond students often rode the train to the Boulder Creek High School. It was not until 1954 that San Lorenzo Valley students were able to all be educated together in one High School. Students attend their local elementary school through fifth grade at either San Lorenzo Valley Elementary or Boulder Creek Elementary. Secondary years are spent at SLV Middle School and SLV High School. In addition, students have the choice of attending our SLVUSD Charter School.